Southwest Airlines went above and beyond for one passenger who had to rush back to her sick son right before she was about to catch a flight. Peggy Uhle was waiting at the airport for her flight from Chicago to Columbus when airline employees alerted her that her 24-year-old son suddenly fell into a coma. Uhle was understandably panicking after hearing the bad news but the airline immediately booked her a direct flight home to Denver free of charge. “They offered a private waiting area, rerouted my luggage, allowed me to board first and packed a lunch for when I got off the plane in Denver. My luggage was delivered to where I was staying, and I even received a call from Southwest asking how my son was doing. Southwest never asked for payment for the Denver flight, luggage delivery or anything else,” she told reporters. Uhle’s son is recovering from a traumatic brain condition in hospital. 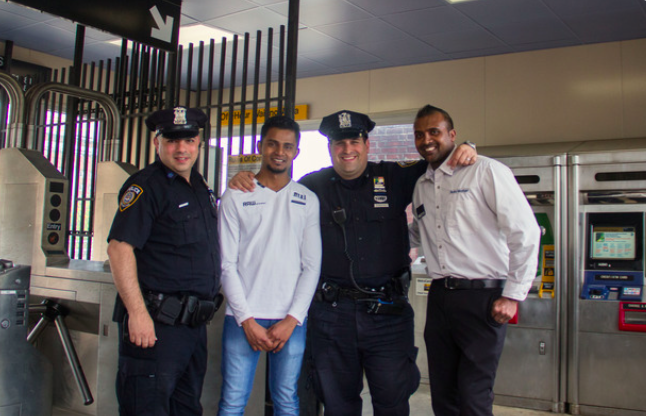 Transit police officers Christopher D’Onofrio and Paul Martino were working their shift at Tompkinsville Station in Staten Island when they saw a man fail to pay for his ticket and jump the turnstile. The man was 26-year-old Sangeeth Wuesinghe, a recent immigrant to New York from Sri Lanka. While issuing Wuesinghe the fine, the officers struck up a conversation with him and learned that he jumped the turnstile because he had no money to pay for a train ticket. Wuesinghe told the officers that he was working a few odd jobs since he came to New York and could only afford to pay a fare for his wife, who went through the turnstile right before he was stopped by the policemen. 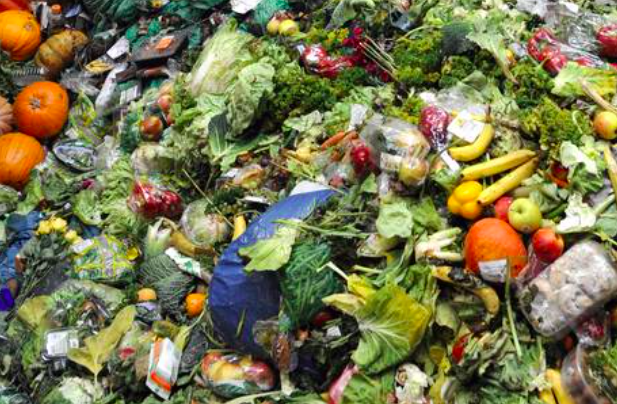 France has passed a new law making it illegal for large supermarket chains to throw away edible food in an effort to cut down on extra waste. France’s National Assembly unanimously voted for the new law that would make supermarkets donate extra food to charity or turn it into animal feed or compost. “It’s scandalous to see bleach being poured into supermarket dustbins along with edible foods,” said Guillaume Garot, a politician who supports the new bill. 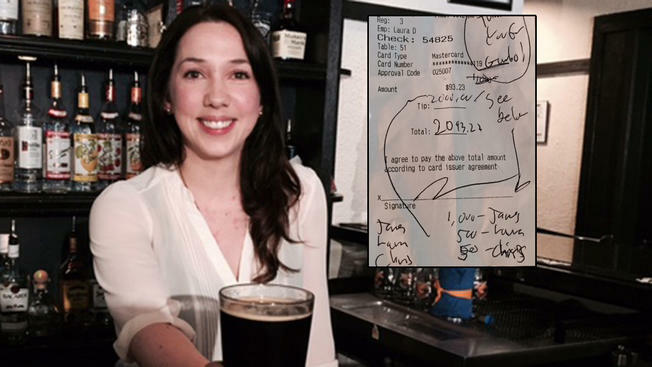 Workers at a Washington, D.C., restaurant received a big surprise when a regular customer tipped $2,000 on his $93 bill. Bartender Laura Dally told the loyal customer (who wishes to remain anonymous) that his order of gumbo was on the house because he was one of the restaurant’s best patrons. However, the customer refused to take the meal for free and instead left an extra $2,000 tip on the bill. He specified that he wanted $1,000 to go to the chef, $500 to go to Dally and the other $500 to go to the restaurant’s owner, Chris Nardelli. “We gave them a couple quarts of gumbo on the house after their meal, but never expected anything like this,” Nardelli told reporters. 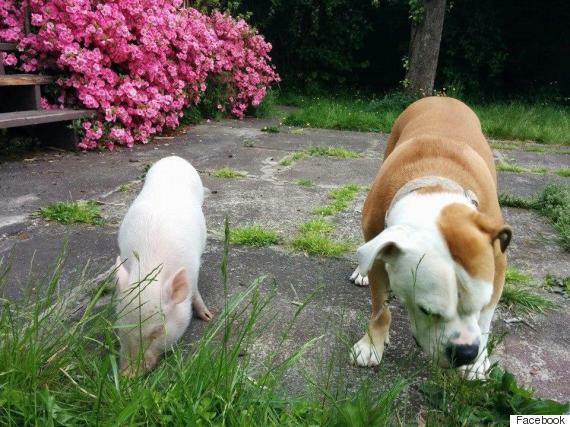 Wilbur is a 75-pound teacup pig that is arguably the cutest dog-sitter in Vancouver. Wilbur hangs out with dogs at Canine Adventure Den Daycare and has a pretty special friendship with all his furry pals. According to his owner, Kirsty MacGregor, Wilbur gets along well with most dogs at the daycare, except for some of the smaller ones that can’t really seem to figure out if he is a dog or not. What makes Wilbur even more special is that MacGregor rescued the pig after he was put up for adoption. Wilbur used to live on a farm in Alberta, where he was often attacked by dogs that also lived on the property. MacGregor saw an ad for Wilbur on Kijiji and decided to bring the pig to Vancouver and let him hang out at the doggy daycare, which she also owns. Tori Nelson is a fourth grade teacher at Winlock Miller Elementary School in Washington State. Earlier this week, a student in Nelson’s class named Matthew Finney was crying outside her classroom. 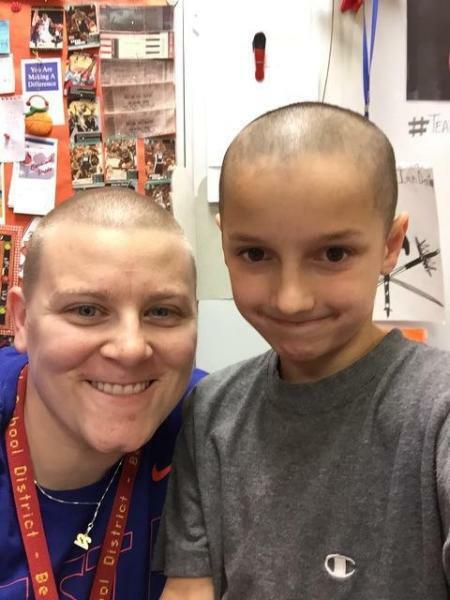 “I asked him what was wrong, and he said he’d gotten a buzz cut for the summer. But this morning, a fifth grader on the bus made fun of him, and he didn’t want to come to class and get teased by other kids,” Nelson told reporters. While completing a training session for an upcoming competition, a group of six paddlers from Victoria, B.C., discovered something was floating in the water beside their boat. It turned out to be an old bottle with a message in it. The paddlers, who call themselves the Soggy Beavers, opened the bottle to read the letter inside that said, “If you find this, please throw it back in the ocean. My last wish was to see the world.” On the other side of the note was a picture of a man with a caption scrawled under it that read, “Celebration of life.” The paddlers realized that they had opened a bottle with a deceased man’s ashes inside. At first, they were taken aback by their surprising discovery. 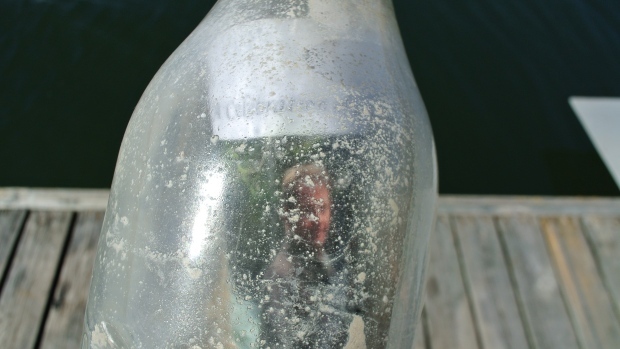 But then the six men decided that they wanted to help the unknown man behind the message in the bottle achieve his dreams of seeing the world. The Soggy Beavers are headed to a paddling competition in Alaska next month and they will take the bottle with them so the mystery man can see that part of the world. “I think there’s always the chance we find somebody who says, ‘Hey I’m sailing to Japan,’ and we could hand him off. I think it would be cool, people just handing him off so he makes his way around the world,” Soggy Beaver team member Russell Henry told CBC. In last week’s roundup we shared the story of Harman Singh – a Sikh man who broke religious protocol to save the life of a little boy. Singh removed his turban in order to stabilize the head and neck of six-year-old Daejon Pahia, who was struck by a vehicle on his way to school. In the Sikh religion, those who wear turbans are not supposed to remove their head covering due to rules of the faith. 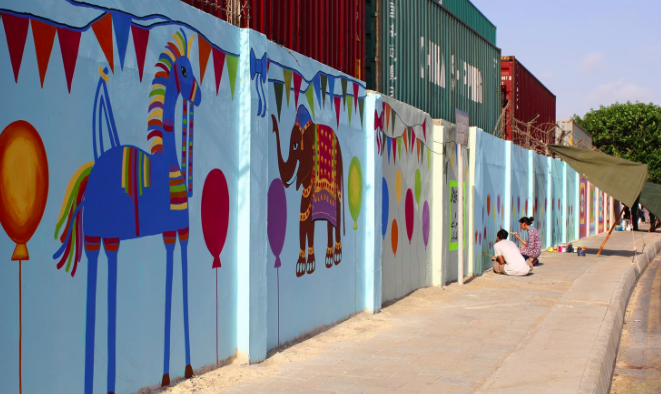 However, Singh did not think twice about taking off his turban to help the little boy. Singh has received thousands of messages of support and praise from all over the world but he remains extremely humble claiming that he was just trying to be a good citizen. Singh is from India and currently lives in New Zealand to study business. Earlier this week, an Auckland news station interviewed him about his heroic gesture. Viewers were quick to notice how Singh’s home lacked furniture. Emails came pouring into the news station requesting that Singh somehow be helped in return for his kindness. With the help of a local furniture shop, the news station decided to surprise Singh with brand new furniture for his home. Watch the video to see how good karma found its way back to Singh.